Excellent place! Perfect place for good steak. 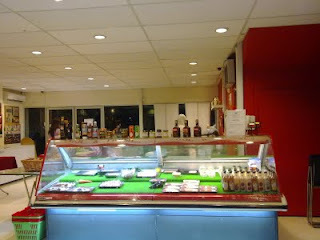 This gem hidden within PJ is a butchery that doubles as a simple restaurant serving excellent quality steaks. No frills, nothing fancy...just walk over to the meat counter, pick a good quality cut of meat and just wait to eat. 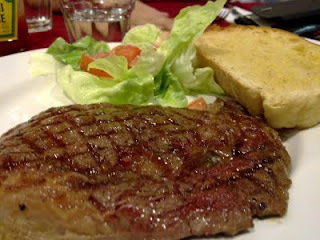 Price is absolutely fair and I would definitely, absolutely, really love to comeback again to try the wagyu! 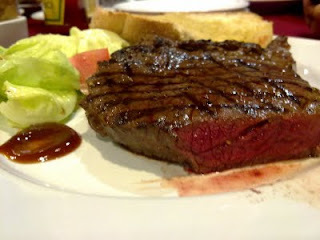 Turns out a wagyu topside(rm27, 270g, pic below) is cheaper than a grass fed premium ribeye(rm44, 250g, pic above). Not much marbling on this wagyu cut but the taste of beef is still very much richer. 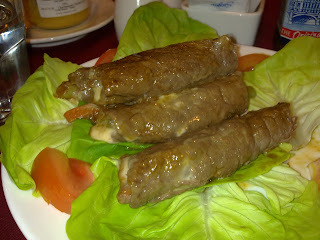 Owhhh and not to forget these absolutely lovely beef wraps. Nice succulent beef oozing with cheese. Heaven. 8.30am to 7.30pm For more information, call 03-7874-0711 or fax 603-7874-0655.